With Apple set to release iOS 10 download on September 13, here’s release time of iOS 10 worldwide in your time zone. Apple has been its usual tricky and mysterious self this time around, by which we mean the company has announced that the iOS 10 firmware will be released on Tuesday, September 13, but has once again failed to provide a specific time for that launch. 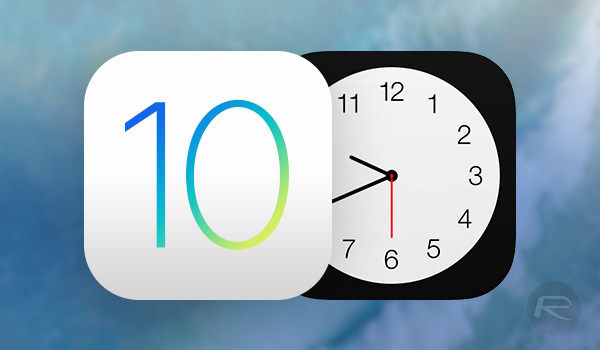 With that said, by using historical launches of major firmware updates, such as when iOS 9 rolled out, as well as those of smaller point releases over the last twelve months, we can make an educated assumption that the release will be set for 10:00 AM Pacific, or 1:00 PM Eastern Time. Having elevated excitement levels isn’t unique to the launch of iOS 10 to the general public. Apple initially introduced iOS 10 to a very captive audience during the opening keynote at this year’s Worldwide Developers Conference (WWDC) back in June of this year. That announcement first teased the idea of a totally revamped Messages application, as well as an improved Siri that comes bundled with SiriKit along with a new Maps and Photos experience, and as well as the addition of rich, interactive notifications throughout. Of course, Apple has also worked to stabilize the system, as well as to squeeze out any performance increases that it can get out of it for all compatible devices. Apple won’t be providing any official confirmation regarding time ahead of the actual launch, meaning that we do have to provide the various zonal releases purely on best guesses and historical evidence. So with that in mind, make sure you check out the chart below to know exactly what time iOS 10 will release in your local area so that you can fight with millions of others to get past the company’s update authentication servers later today. Enjoy.